Have you been slacking at work due to boredom or lack of initiative? Sometimes it can be really hard to stay on task and keep up your A game. The good news is you don't have to be an underachiever any longer! Chances are if you have been flying under the radar for a bit, you need to take on new tasks slowly so you don't overwhelm yourself. Think about a project that you are interested and raise your hand for it. The change of pace will be a good way to get yourself motivated to do your best. You will also likely get to work with people you don't always get to interact with, which can help you create new connections. That can really help you if you ultimately want to be promoted. Try listening to an uplifting podcast on the way to work to help get you in a motivated mindset. If podcasts aren't your thing, find a book on positive mindset or watch videos on youtube. Thinking about your mindset and resetting it to think positively will help you get work done efficiently and effectively. Check out this video from Joel Osteen on having a positive mindset. Sometimes the best thing you can do to refill your motivational jar is to take a break. Try taking a few days off and doing something you like. Spend time with friends and family or just relax and read a book. Take time to recharge and get your priorities set so that you can come back to work and jump in. Try one of these tips today and get your drive back where it needs to be to reach your goals. Make the step to take your career to the next level and keep your motivation high. 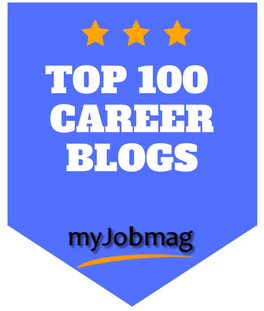 Sign up for career emails today and receive the free career jump start email series!